Progeny earnings over $21 million! Average earnings per starter nearly $47,000! DAISY DEVINE (2008 f, by Devil’s Bag) In US, 10 wins, 2 to 5, $1,095,892 (US SSI = 16.69): 22. 1st Fair Grounds Oaks [G2] ($500,000, FG), 1st Jenny Wiley S. [G1] ($300,000, KEE), 1st Pin Oak Valley View S. [G3] ($150,000, KEE), 1st Cardinal H. [G3] ($111,500, CD), 1st Pago Hop S. ($45,000, FG) $74,250, 1st Mardi Gras H. [L] ($45,000, FG) $72,000, 1st Blushing K. D. H. ($45,000, FG) $72,000, 1st Marie G. Krantz Memorial H. ($45,000, FG) $72,750, 2nd First Lady S. [G1] ($350,000, KEE), 2nd Early Times Mint Julep H. [G3] ($109,100, CD), 2nd Silverbulletday S. ($20,000, FG) $98,000, 2nd Bayou H. [L] ($15,000, FG) $72,750, 3rd First Lady S. [G1] ($400,000, KEE), 3rd Churchill Distaff Turf Mile S. [G2] ($288,750, CD), 3rd Indiana Oaks [G2] ($205,100, HOO). LET FAITH ARISE (2010 f, by El Corredor) In US, 6 wins at 3 and 4, $488,240 (US SSI = 10.63): 13. 1st Santa Margarita S. [G1] ($350,500, SA), 1st Adoration S. [G3] ($101,000, SA), 1st California Wine S. ($32,450, PLN) $58,050, 2nd La Canada S. [G2] ($200,500, SA), 2nd Santa Maria S. [G2] ($200,250, SA). DON’T FORGET GIL (2006 f, by Mt. Livermore) In US, 4 wins, 2 to 4, $370,737 (US SSI = 6.45): 19. 1st Florida Oaks [G3] ($200,000, TAM), 1st East View S.-R ($48,465, AQU) $80,775, 1st Wayward Lass S. ($30,000, TAM) $50,750, 2nd Coaching Club American Oaks [G1] ($300,000, BEL), 2nd Comely S. [G2] ($147,000, AQU), 3rd Busanda S. ($7,202, AQU) $72,020, 3rd Saratoga Dew S.-R ($7,000, SAR) $70,000, 3rd Real Prize S. ($6,770, BEL) $66,150, 3rd Suncoast S. ($5,000, TAM) $75,000. RAGING DAOUST (2009 g, by Caveat) In US, 10 wins, 2 to 4, placed at 7, $345,843 (US SSI = 3.42): 30. 1st Salvator Mile S. [G3] ($157,500, MTH), 3rd Mr. Nasty S. ($7,500, AQU) $73,500. THE PAMPLEMOUSSE (2006 c, by Rubiano) In US, 3 wins at 2 and 3, $209,280 (US SSI = 13.17): 5. 1st Sham S. [G3] ($200,000, SA), 1st San Rafael S. [G3] ($100,000, SA). 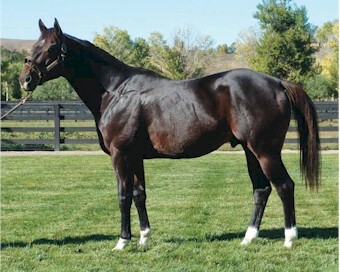 WINGS OF WAR (2007 g, by Devil His Due) In US, 10 wins, 2 to 6, $388,212 (US SSI = 4.29): 31. 1st Ralph Hayes S.-R ($57,885, PRM) $96,475, 1st John Wayne S.-R ($42,000, PRM) $70,000, 2nd Iowa Breeders’ Derby [R] ($17,425, PRM) $87,125, 2nd Cyclones H.-R ($15,000, PRM) $75,000, 2nd Gray’s Lake S. [R] ($13,250, PRM) $64,925, 3rd Cyclones H.-R ($7,500, PRM) $75,000. TWELVE TWENTY TWO (2005 f, by Southern Halo) In US, 8 wins, 2 to 7, $305,356 (US SSI = 10.14): 15. 1st Harry Henson H. [L] ($61,800, SUN) $103,000, 1st Harry Henson H. ($60,000, SUN) $100,000, 1st Bold Ego H. ($30,000, SUN) $50,000, 1st El Diario S. ($30,000, SUN) $50,000, 3rd California Oaks [L] ($12,000, GG) $100,000. THE RUMOR’S TRUE (2007 f, by Alwasmi) In US, 3 wins at 2, $275,277 (US SSI = 4.18): 19. 1st Louisiana Futurity (F)-R ($66,687, FG) $111,145, 1st John Franks Mem. Sales S. (F)-R ($60,000, EVD) $100,000, 1st Happy Ticket Breeders’ Cup S. [L] ($45,000, LAD) $83,500, 2nd Louisiana Jewel S.-R ($50,000, DED) $250,000, 2nd Sarah Lane’s Oates S. [R] ($12,000, FG) $60,000, 3rd La. Bred Premier Night Starlet S.-R ($13,750, DED) $125,000. By CHEROKEE RUN (1990), Champion, $1,531,849. Sire of 13 crops. 781 foals, 662 starters, 48 black type winners, 520 winners, $48,232,845, including War Pass (Champion, $1,583,400), Chilukki (Champion, $1,201,828), Yonaguska ($536,355, Hopeful S. [G1], etc. ), Sean Avery ($338,180, Alfred G. Vanderbilt H. [G1], etc. ), Zanjero ($1,620,786, Indiana Derby [G2], etc. ), During ($822,364, Swaps S. [G2], etc. ), Kafwain ($715,848, Norfolk S. [G2], etc. ), Sir Cherokee ($628,296, Arkansas Derby [G2], etc. ), Recapturetheglory ($545,646, Illinois Derby [G2], etc.). KAFWAIN (c, by Cherokee Run). Black type winner, see records. Red Gem (g, by Rubiano). 8 wins, 2 to 7, $159,525, in NA/US. Da Vinna (f, by Boundary). Winner at 3 and 4, $38,080, in NA/US. Producer. Rapid Exchange. Winner at 2 and 3, 2012, $16,784, in US. Siggi The Alien. 3 wins at 3, placed at 4, 2012, $55,776, in US. SWAZI’S MOMENT (f, by Moment Of Hope). Black type winner, see above. Our Alf (c, by Highland Park). 10 wins, 3 to 5, $93,038, in NA/US. Etr Spt 8.50f 1 45 1. Shanty Hill Road (g, by Friendly Lover). Winner at 3, $13,687, in NA/US. 3rd I.T.B.O.F. Sales Graduate S. [OR] (HAW, $4,609). Capote’s Diamond. Winner at 3 and 5, $62,590, in US. Sweep The Shore. Winner at 2, 3 and 5, $60,466, in NA/US. Luckbealadytonight. Winner at 2 and 3, $62,500, in NA/US. Producer. Savoy. 2 wins at 3, $50,230, in US. Havin A Good Time. Winner at 3, $13,732, in NA/US. Dam of GOT AN ITCH (f, by Rocky Bar. 7 wins, 2 to 4, 2011, $194,424, in US. Won Joanne Dye S. [OR] (TUP, $30,000), City Of Phoenix S. [N], Arizona Stallion S. [N] (TUP, $17,345), Chandler S. [N], 2nd A.T.B.A. Fall Fillies Sales S. [OR] (TUP, $25,938), etc. ), Gotta Skedaddle (f, by Top Hit. Winner at 3, 2011, $40,970, in US. 2nd A.T.B.A. Spring Sales S. [OR] (TUP, $18,705), Arizona Stallion S. [N] (TUP, $5,780), 3rd Joanne Dye S. [N] (TUP, $2,675).). SWAZI GIRL (f, by Hatchet Man). Black type winner, see above. =Al Duck (FR). 7 wins, 2 to 5, in Fr, 83,391 EUR. (Total: $94,963) Dam of =AL KEN (FR) (c, by =Kendor (FR). 11 wins, 2 to 7, 2011, in Fr, 173,532 EUR. Won Pr Delahante (FR). (Total: $248,886)). =Galapage (Fr). 4 wins, 2 to 4, in Fr, $60,893. Mixed Truce. 4 wins, 3 to 8, $62,667, in NA/US. Producer. Three Roses. Winner at 3, $51,969, in NA/US. Producer. Pond Branch (c, by Icecapade). Winner at 3, $18,197, in NA/US. Raised To Fly (f, by Raised Socially). 4 wins at 3, $17,649, in NA/US. Producer. HUSHED GOODBYE (f, by Secret Hello). 8 wins, 2 to 4, $222,129, in NA/US. Won Sugar And Spice Handicap [OR] (HOO, $41,160), 2nd Merrillville S. [OR] (HOO, $13,620), 3rd Sugar & Spice Handicap [OR] (HOO, $5,973). Producer. Quickest Blade. 20 wins, 3 to 11, $215,549, in NA/US. Open Sea. 7 wins, 3 to 6, $101,620, in NA/US. Producer. Bee Creek (c, by Darby Creek Road). 12 wins, 2 to 6, $68,182, in NA/US. 3rd Cleveland Kindergarten S. [OR] (TDN, $3,000), Ohio Heritage S. [OR] (TDN, $3,000). AUBERGE (c, by Hail To Reason). 7 wins, 3 to 5, $83,990, in NA/US. Won National Jockey Club H, 3rd Equipoise H. At 10 Sent To Venezuela. Sire. Disprove (c, by Prove It). 8 wins, 2 to 5, $44,101, in NA/US. Gastgeber (g, by Within Hail). 3 wins at 2 and 4, $21,885, in NA/US. Creamer (c, by Creme Dela Creme). 5 wins, 3 to 5, $17,730, in NA/US. All Filled Up (c, by Blade). Winner at 3, $3,287, in NA/US. DANVILLE (c, by Demons Begone). 11 wins, 3 to 7, $676,870, in NA/US. Won Round Table S. [G3], Alabama Derby [L] (BIR, $120,000), Tejano Run S. [L] (TP, $37,800), Pioneer S. [L] (TP, $33,848), 2nd Clark Handicap [G3], etc. Ephmen (c, by Drone). 8 wins, 2 to 5, $171,875, in NA/US. 3rd Sun Beau S. [O] (HAW, $5,132). Coreys Gray (c, by Raised Socially). 6 wins, 3 to 5, $34,878, in NA/US. 2nd Norway House Handicap [N], 3rd Fort Garry Handicap [N], Derby Trial Breeders’ Cup S. [N]. Briar Tree. 8 wins, 2 to 5, $55,123, in NA/US. Producer. Minhah. At 2 Sent To Great Britain. Placed at 3, in Eng, $351. Dam of =RED DRAGON (IND) (c, by Northern Secret. Won Governor’s Trophy (IND).). Granddam of =RECONNECT (IND) (c, by =Gaswar (GB). Won Golconda Derby (IND), 2nd Golconda Juvenile Million (IND). ), =SIMPLY UNIQUE (IND) (f, by =Ben Alisky (GB). Won South India 1000 Guineas S. (IND), South India Derby (IND), 2nd South India 2000 Guineas (IND), India Cements South India Oaks (IND), 3rd Nilgiris Fillies Trial S. (IND), etc. ), =Gaslight (Ind)(f, by =Gaswar (GB). 2nd Juvenile Sprinters Million (IND), 3rd Bangalore 1000 Guineas (IND).). Race Record: (In NA/US) at 2, three wins (Norfolk S. [G2], Best Pal S. [G3]), twice 2nd (Breeders’ Cup Juvenile [G1], Del Mar Futurity [G2]), once 3rd; at 3, one win (San Vicente S. [G2]), once 3rd (Santa Anita Derby [G1]). Total: 4 wins, twice 2nd, twice 3rd. Earned $715,848.